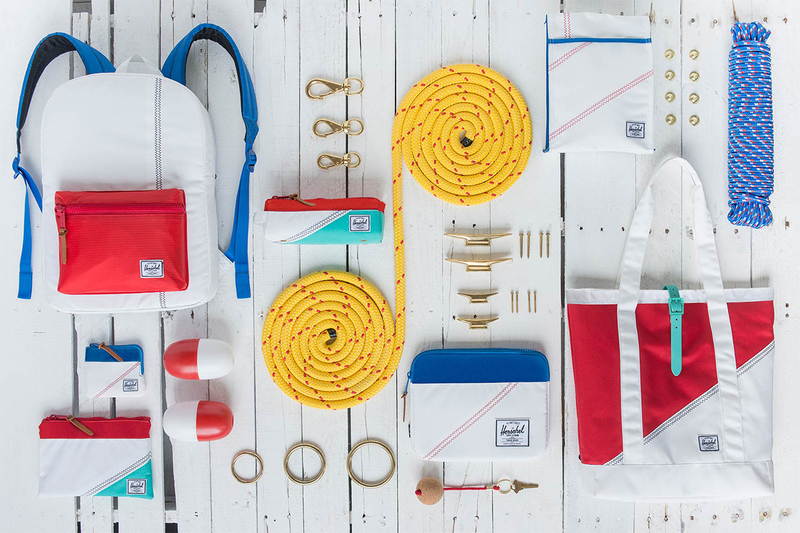 Herschel Supply Co. presents its Spring/Summer 2014 collection inspired by sailing and life at sea. Incorporating traditional materials such as water and tear-resistant sailcloth, the Studio Collection features four different bags, a laptop sleeve, dopp kit and field pouch as well as a a wallet, case and exclusively-designed lunch pack. The collection’s themes are readily seen in the choice of white bases accented by zig-zag stitching and patches of deep blue, red and teal. The Studio Collection is currently available at select stores worldwide.